Over 7,300,000 people are on probation, in jail or prison, or on parole — that’s 1 in every 31 adults. Nearly 2,300,000 prisoners are held in state and federal prisons and local jails. Over 3,200 prisoners are on death row. Men are over 8 times more likely than women to be incarcerated. 687,700 state prisoners are serving time for a violent offenses. The average prison sentence for a violent offender is 90 months. 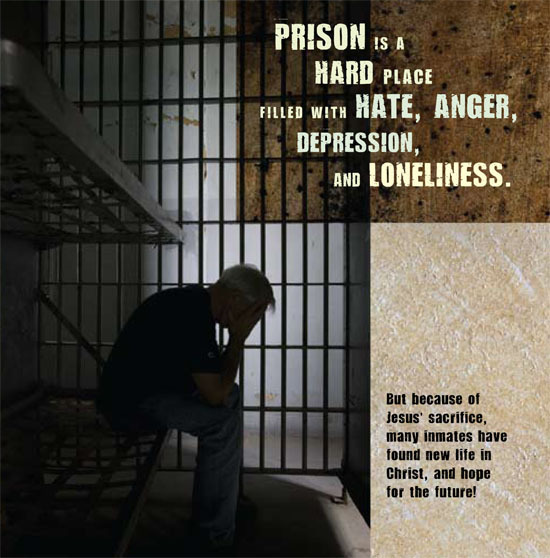 The ECS Prison Ministry Works! “I do not know of any more fertile ground for the gospel in all of the United States than our jails and prisons. Where else can you find so many broken, hurting, lonely people all collected together in one small space? Where else can you enter a community where so many of its members have been humbled? Where else can you enter an arena where every unbeliever understands that your function is to talk about God? And further, that they expect you to bring Him up?